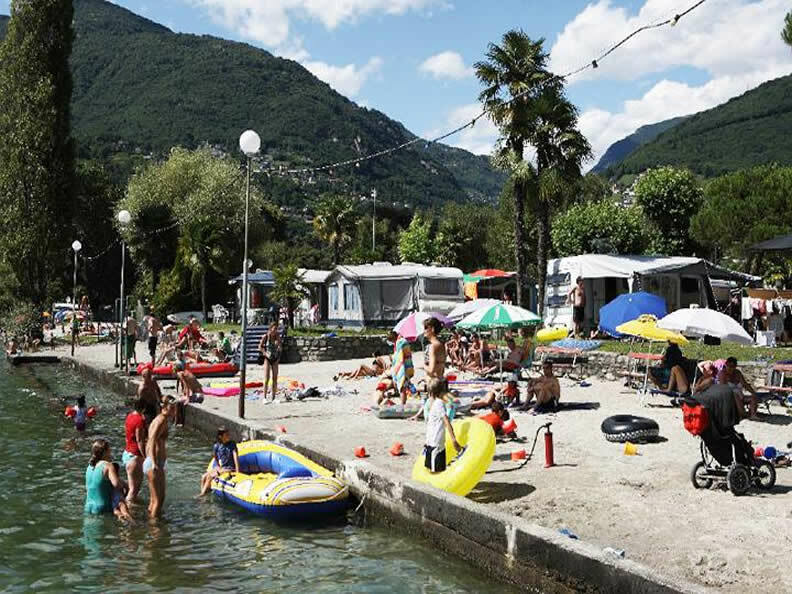 The Rivabella camp-site is a pearl on the shores of Lake Maggiore, in an ideal location that is both quiet and shaded pitch. It is equipped with the most up-to-date facilities, hot and cold running water, showers, washing machines and the possibility to use gas cookers. Along with the restaurant, there are also a few rooms available. 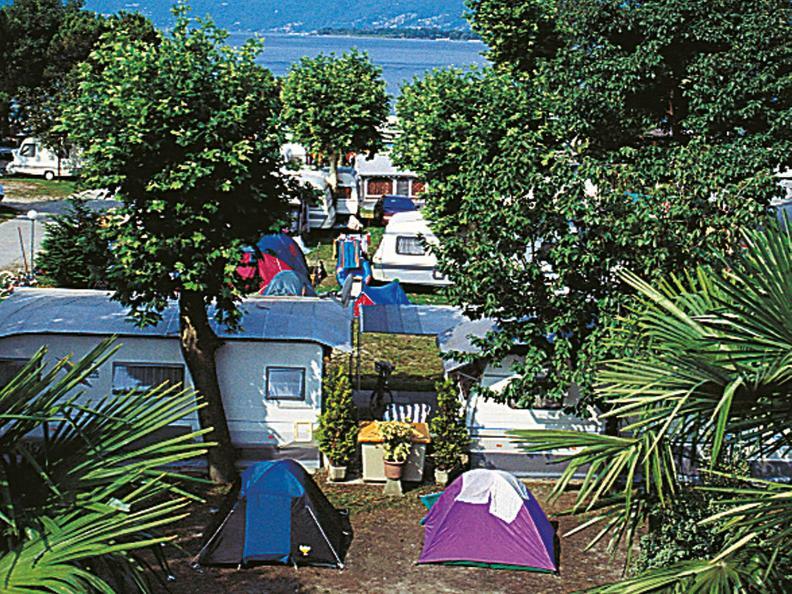 Numbered pitches with parking space alongside the tents, possibilities of advanced bookings, etc. The beach is sandy and has a private harbour for motor-boats and rowing-boats. 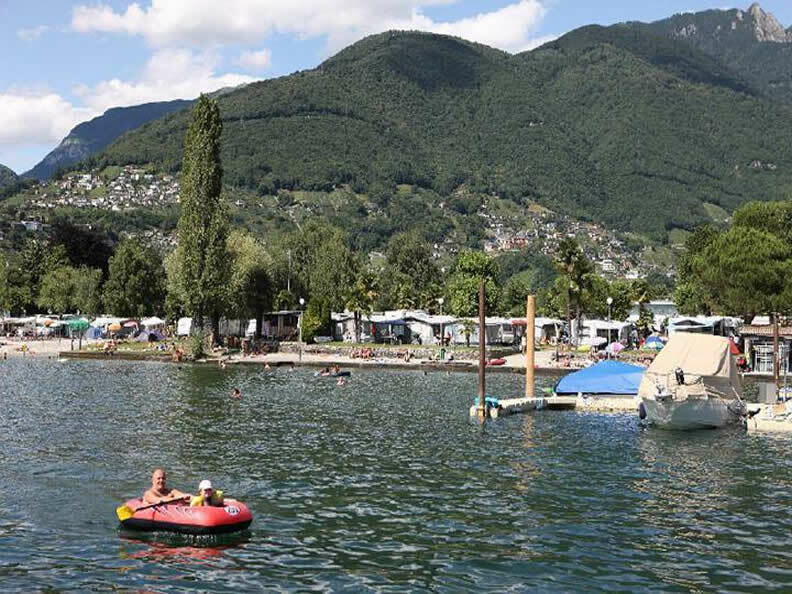 Its position is delightful, offering absolute tranquillity and plenty of opportunities for excursions and water-skiing.